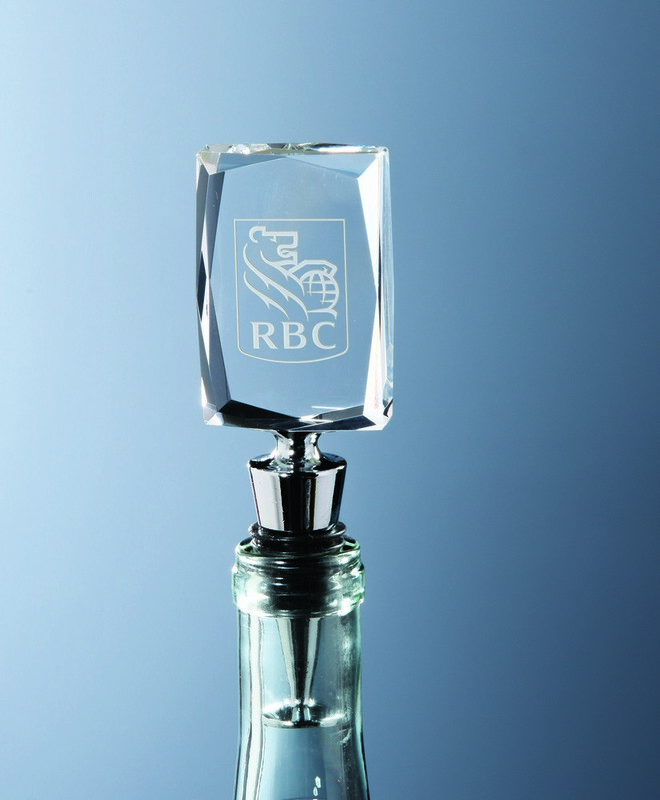 Award excellent performance with the Custom Etched Horizontal Shelby Wine Stopper, imprinted with your personalized logo in one location. A classy, elegant gift to create a lasting impression for your brand, the Shelby Stopper Horiz. gives you a nice way to delight your customers. This wine stopper made from optical crystal glass in high quality features elegantly faceted edges to create a unique piece. It comes with stainless steel or rubber sealing for bottle to retain the freshness, taste and aroma of the drink it contains. 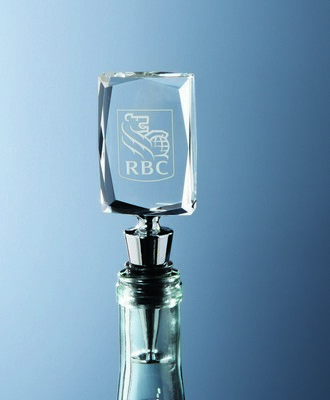 With a limited etch area, it facilitates left to right picturing of any custom text or graphic to customize the stopper. You can insert your brand logo and marketing message on the front of this item and make it your next promotional giveaway to gain better visibility.